Discriminating bottled water drinkers are always on the look-out for a water that offers a clean, crisp taste and retains the natural electrolytes and minerals that make it unique. 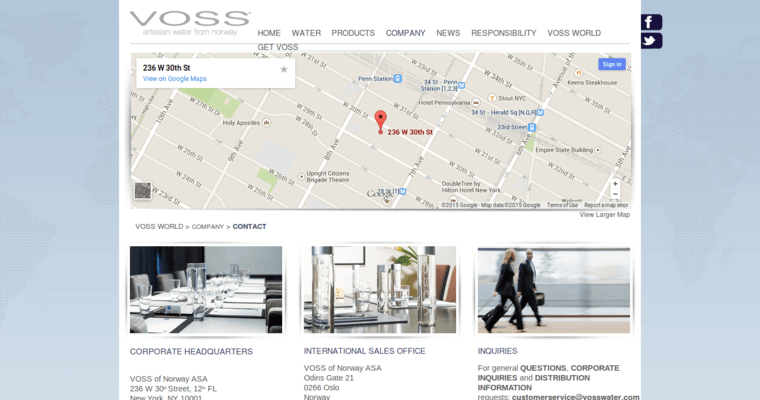 Voss water is such a bottled water. 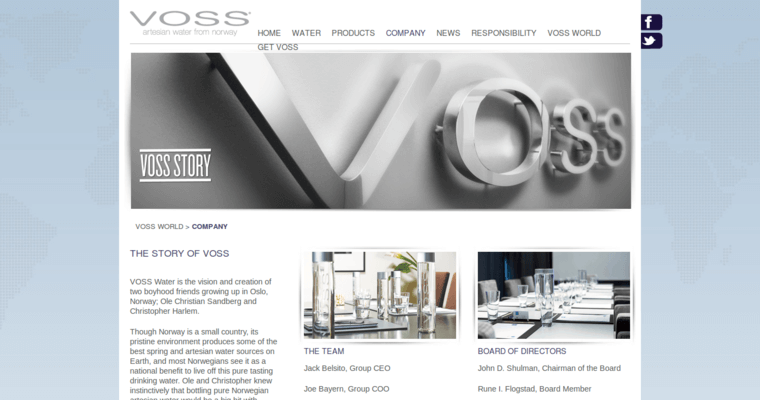 Born in the land of the midnight sun, Voss water is one of the finest bottled water brands from Norway and is often the choice of chefs all over the world. The unique manner in which this water is harvested, protects the sweet taste, electrolytes and minerals of this natural wonder. 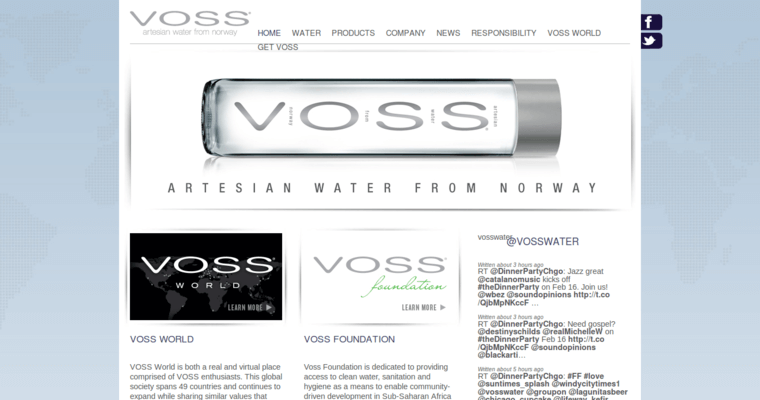 Those who want only the best bottled water in the world, are sure to choose Voss.